As we spring into summer (or should we say dive) we need to start thinking logistics – how on earth are we going to stay cool? If you own a pool – congratulations, you’re already one step ahead of the game. But you would also know how much responsibility, money and maintenance goes into a pool – with one of the most important aspects being a pool cover. Some pool owners may get by without a cover, and that might even be you. Maybe you didn’t have the money to spare, or didn’t take time to research and purchase a high-quality cover, resulting in damage or breakage. Whatever the case, summer is here and your pool needs to be in tip-top shape. Get ready to say goodbye to all of your poolside problems with Canstar Blue’s ultimate pool cover buying guide. A pool cover is a costly and important purchase that should not be rushed. A good quality cover will be backed with 5-10 years of warranty, and will ultimately save you time, money and effort. You would be surprised at how many benefits there are! Covers keep out debris, twigs, trees, etc. and anything else that may find its way into the pool. Less clean up! We understand if you’re a little overwhelmed. If this is one of the first times you have shopped for pool covers, you will probably notice that they come in a large range of models and makes, plus materials and specifications for hundreds of different brands. Pool covers also differentiate between above ground and in ground pools. There are two main types of swimming pools – above and in ground. Most people are familiar with both, but let us explain further because it’s relevant to the type of pool cover you will need. In ground pools, by definition, are residential or commercial pools that are constructed or installed in the ground, either with a concrete, gunite, fiberglass or vinyl application installed over the steel wall construction to create a permanent structure. These in ground pools are much more expensive and have a much higher upkeep cost, but will add huge value to your property and are a little bit more luxurious. Covers for these pools are always more extravagant (which is usually necessary). On the flip side are above ground pools, which, by definition, they are constructed steel or polymer structures installed above the ground with waterproofing PVC membrane overlaying the walls and floor, to create a protective surface to hold water. These pools are ideal if you have a tight budget, but are still desperate for a backyard cool-off. Covers for these are usually much simpler due to the nature of the pool, and therefore much less expensive. 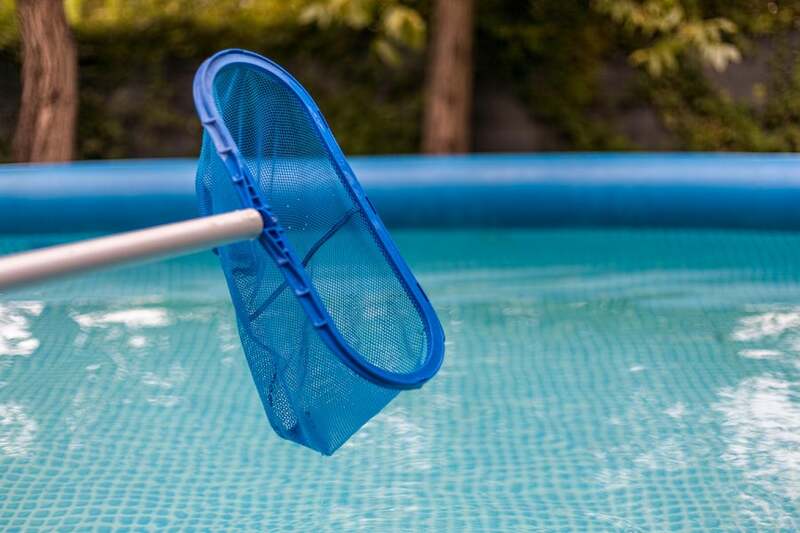 There are many different pool cover types; however the following seven types are, generally, the most popular on the market. Automatic – When it comes to covers, automatic covers are usually the most high-end and expensive. As the name suggests, they roll on top of the pool automatically with a click of a button. They are usually made from impenetrable material. manual hideaway roller and rope. 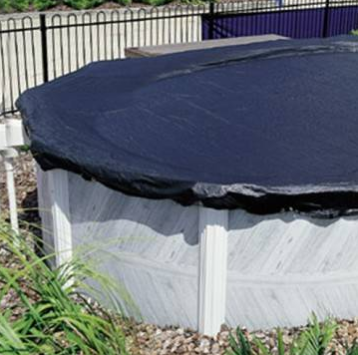 Thermal – These covers are designed and used with heating in mind – so these are ideal if your pool isn’t heated or sits under shade to trap natural heat inside. Safety: solid & mesh – A safety cover is encouraged for families with children, as both solid and mesh screen covers provide a high level of security. More often than not, winter covers double as a safety cover and the same cover is marketed to both situations. Solar– Also known as ‘bubble blankets’ these covers are ideal if you are choosing to heat your pool as you can reduce your pool heating costs massively. Above ground covers – Vastly different to in ground covers, this cover is more tarp-like as it drags over the pool. Winter Covers – Ideal for a complete shutdown of your pool over the non-swimming season. As stated above, these usually double as safety covers. The cost between covers varies greatly between each individual pool. 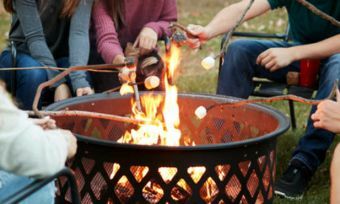 Factors such as size, material, style, heating and equipment will all contribute to the cost. Websites and brands, such as the ones mentioned in this guide, usually require information about your pool to generate a quote. Don’t forget that you also need to pay for a roller and installation, which will drive up the cost. Take note – a new cover can range anywhere between $60 for winter covers and solar ‘bubble’ blankets up to $10,000 for an automatic cover, roller and installation. If you’re looking for a thermal pool cover, look no further than Elite’s Thermal Shield 5mm. Established in 1989, Elite is successful in both personal and commercial pool cover systems. Throughout the years, they have successfully pioneered the development, design and manufacturing of some of the world’s leading custom-made pool cover systems. Although they are praised for their commercial covers (if you are looking for that, take a look!) it is their thermal shield cover that is worth our attention. The cover has the highest R value (thermal resistance) on the market (apparently), which means lower heat and water loss – and maximum savings when it comes to energy and, subsequently, money. The cover also features ‘Airlon’ – a cross-linked closed cell polyofin foam core, with a unique tough double water resistant skin and thick cell walls that greatly reduce the amount of water absorption into the blanket/cover. As a result, this will save you money over time in labour repairs and heating costs. As they fit every pool cover custom to you, set prices are not available. Instead, you must write for a quote on their website and it will be suited to your pool size and situation. These can be used for both above and in ground pools, and can be fitted either with an automatic electronic roller or a manual roller. Remco is Australia’s market leader in the supply and installation of pool covers (apparently), particularly motorised and automated pool covers. Prompted by a request for a motorised pool cover, the company discovered demand for a new type; modern, aesthetically pleasing, motorised and multi-functional. This discovery lead to the establishment of the company in 1986 and the creation of the Swimroll – which, to this day, is still one of their most popular products and has won major design awards. The cover is the ultimate luxury, with high quality performance and functionality as well as a sleek and stylish design. It sets itself apart from other covers as it is made from durable polycarbonate, rather than a regular bubble blanket style cover. The Swimroll appear to create an impenetrable surface, providing the highest level of pool safety and sustaining the weight of up to 80 kilograms, the company claims. The Swimroll will also cut back on expenses by eliminating the evaporation of heating, chemicals and water. If your pool is heated, you’ll be saving majorly and if it isn’t, say hello to some warmer water! If you’ve got an above ground pool, you’re probably looking for a simple cover to match your simple pool. Look no further than Abgal’s Leafstop, a lightweight polypropylene woven pool cover that is made specifically for above ground pools, and is basically just one huge shower cap. Abgal is a family owned manufacturer of pool covers and liners which supplies over 15,000 covers a year. The Leafstop stretches across the top of the pool, with a generous overlap to allow for ladders, etc. The cover is supplied with bungee cord which is threaded through grommets in the hem, and requires no installation or rollers like in ground pools. The cover works to stop leaves from getting in, however it does let rain water through (this doesn’t matter as it is an above ground pool). It is available with four different styles at four different prices; circular, oval shaped, rectangular and teardrop pools for $89, $109, $140 and $290 respectively at Pool & Spa Warehouse. As the cover is bought upfront and not needed to be fitted to a pool, they are the lowest costing option by far. Pioneering the Solar Pool Heating industry in Melbourne in 1974, Sunbather is known more so for their solar panel pool heating. However, they also produce a range of high-quality pool covers. When it comes to winter covers, it is often hard to find a cover that is made specifically for the colder months that will be able to last for months on end without any care or attention. Sunbather’s Winter Covers are the perfect solution and a great way to switch off and forget about your pool in the winter months, and have it ready to go in summer. The cover lies flat (without a roller) across the entire pool and pins down on the ground surrounding the pool with simple attachment pieces that come with it. Sunbather’s winter cover also doubles as a safety cover for families with children and pets – although named two different covers, they’re almost identical in nature and design. Just Cover’s Winter Shutdown is another cover that advertises as a winter but is also a highly-recommended safety cover. Said to be one of Australia’s most respected and popular pool cover brands, Daisy specialises in rollers and bubble blanket covers. Apparently backed by years of research and development, Daisy offer one of Australia’s largest and best-designed range of covers. While they feature a foam and mesh range, their bubble/solar blanket is their highest seller and primary focus. Their premium range, which features the 525B Blue Pool Cover, is boasted by the company as a premium choice for maximum heat retention and durability. The 525B apparently stops 97% of evaporation and heats the pool by up to eight degrees. This cover, along with thermal covers, are also claimed to save you the most amount of money when it comes to heating. 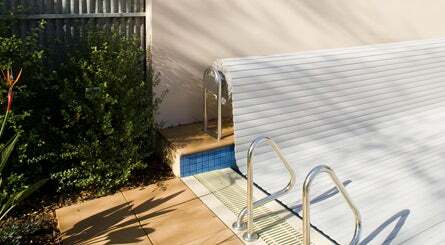 These covers can also be accompanied by either an automatic or manual pool roller to suit your budget. Prices will range depending on your pool situation and size; however solar covers are known to be relatively inexpensive. If you want to get a rough idea on prices, use this Daisy Pool Cover Calculator. So there you have it – hopefully this pool (ha) of resources we have created for you has covered (ha) everything you need to know. Happy swimming!